Shri Shri Gnyan Mandir, Dahigaon, Tal. Malshirash, Zilla Sholapur. 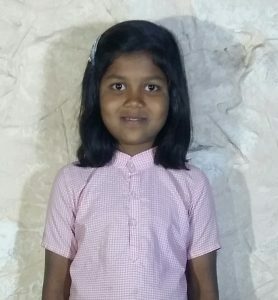 Ms Anushika Anil Kambale, a very enthusiastic, contented and happy child studying in third standard of Shri Shri Gnyan Mandir. She joined the school as a nursery student and student of the school since past five years. All the students of the school are very sharp but, Anushika is little different. Anushika parents are uneducated laborers and come from a very orthodox and conservative family. Being a girl child they were not keen on her education. 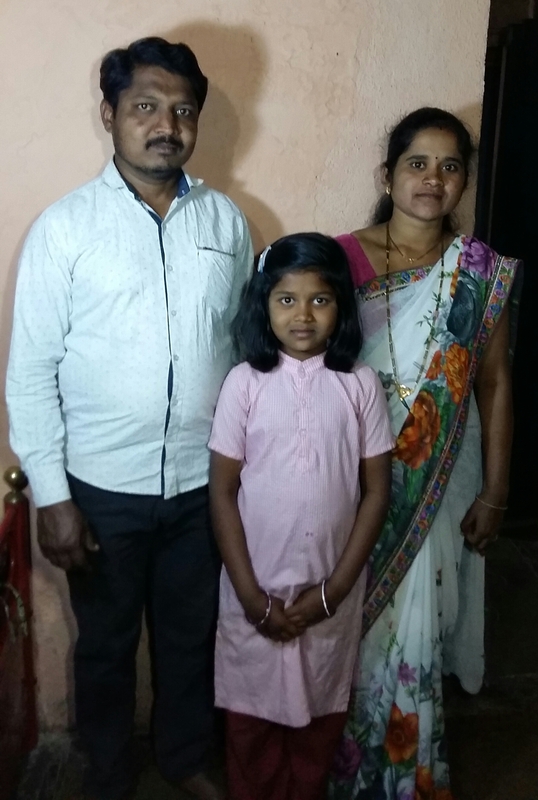 After Anushika secured admission in Shri Shri Gnyan Mandir, they found a lot of change in her. In the initial days Anushika was not ready to go to school. She had lot of fear and was under constant pressure. She was also very stubborn in her eating habits. Now there is drastic change in her. She doesn’t want to miss school. She wants school even on Sundays. She has become friendly with her father and discusses all the events in the school at home. After she comes home she completes her school work and helps in the daily chores of the house. She is very friendly with the neighbors as well. The neighbors are surprised and happy to see her changed behavior. She has also started eating all the vegetables and fruits and discourages everybody from eating outside and junk food. Now she actively participates in all the sports, curricular and extra- curricular activities in the school. At home she encourages her family members to do Satsang and follows this practice every day. She also advises neighbors not to fall prey to addiction and promotes Satsang or singing bhajans. After noticing this change in her, Anushika’s parents have shared that they did not know anything about the Art of Living but recently they have done the Happiness program. According to them their child has become their instructor and Guru. After undergoing the Happiness Program, her father was able to overcome tobacco addiction. The family is now experiencing a positive and spiritual atmosphere at home. After noticing the positive change in Anushika and her family, the neighbors also want their children to join Shri Shri Gnyan Mandir. 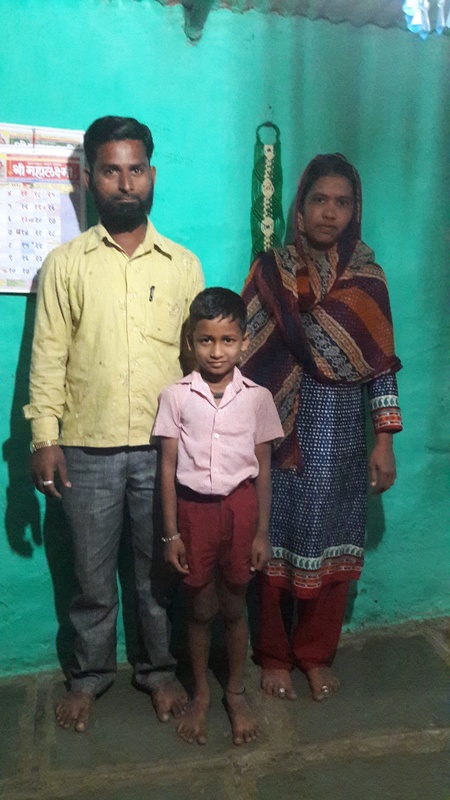 Anushika’s parents are very happy and contented about the way the school is working for transforming children and society at large. According to them words fall short to thank the teachers of Shri Shri Gnyan Mandir and Gurudev H. H. Shri Shri Ravi Shankarji, the motivation and inspiration behind the schools. 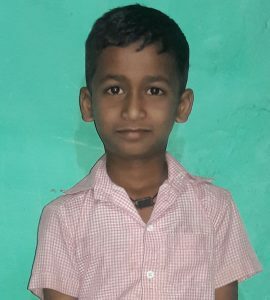 Mustafa Samir Mulani is second standard student of Shri Shri Gnyan Mandir. He is a very silent boy from a Muslim family studying in the school since last four years. His parents share that they were aware of the Art of Living and also about the school. They had heard that the school promotes stress free and value based education. Hence they decided to take admission in Shri Shri Gnyan Mandir. Mustafa’s father plays music in band for different functions hence he is unable to pay attention to his children. Mustafa faced a speaking problem since childhood. He used to stammer a lot while speaking. He was not interested in studies and he liked to watch TV and play on the mobile phone. His father was really worried about Mustafa’s future. Nowadays Mustafa’s parents have noticed a lot of positive change in him. Apart from doing Namaz with us in the morning, he chants Sanskrit Sholakas and Gayatri Mantra. He practices the yoga, Pranayam taught in the school after he comes home. He also encourages his parents to practice yoga, Pranayam, meditation and Satsang. Mustafa’s speech has become very clear now, and his parents think that this is due to the effect of the Shloka’s and friendly and conducive environment provided by the school. His addiction to television and mobile has also decreased and he takes more interest in his studies. He has started respecting his elders and all living and non living things. Even though his family eats no vegetarian food he has become a vegetarian. He has started promoting the importance of vegetarianism in the family. He has also asked his parents to undergo the Art of Living Happiness Program. Mustafa’s father feels that he will grow u as a fine and a confident individual and will be able to achieve whatever he desires in life. 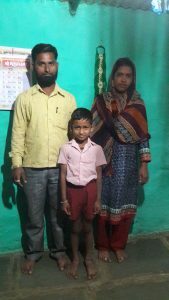 His parents thank the school for their efforts for rural children.